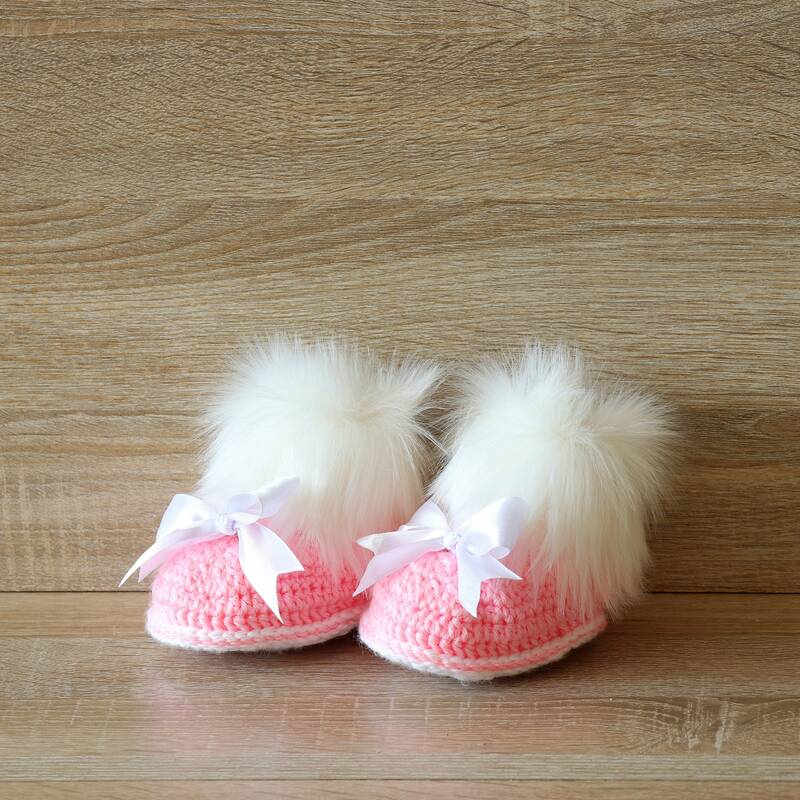 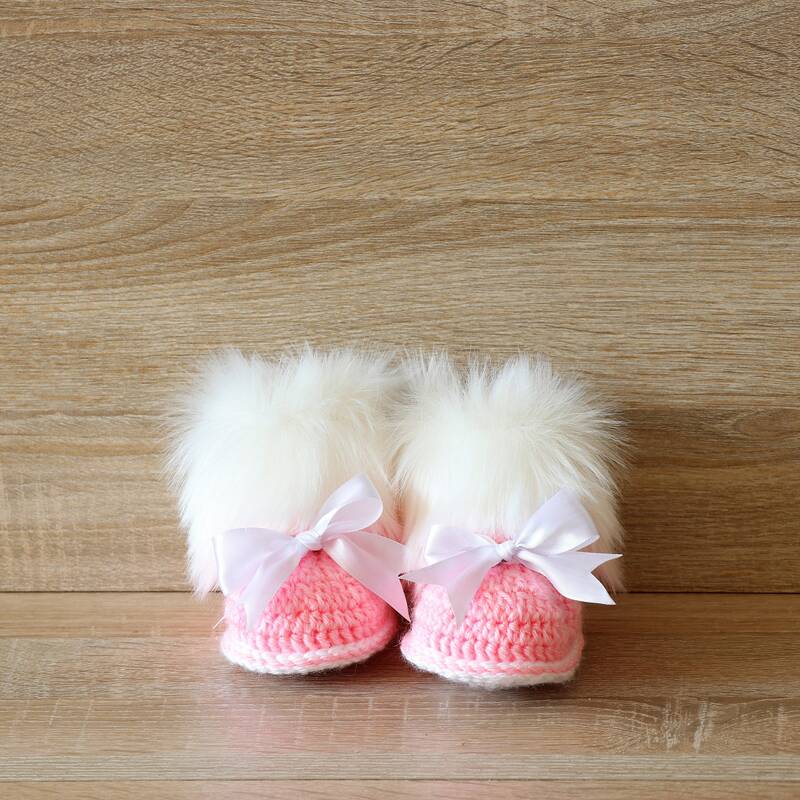 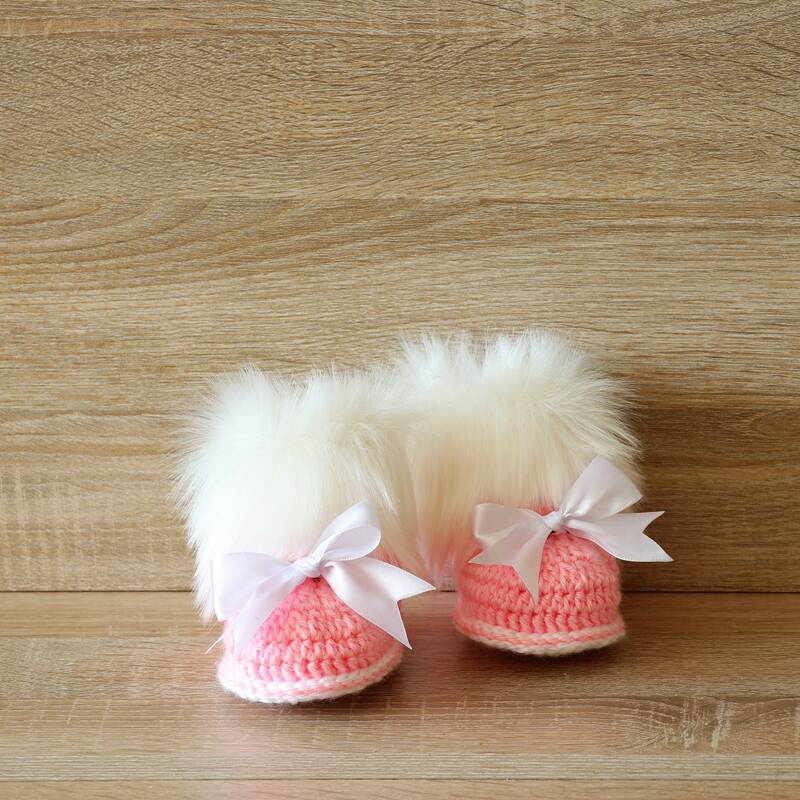 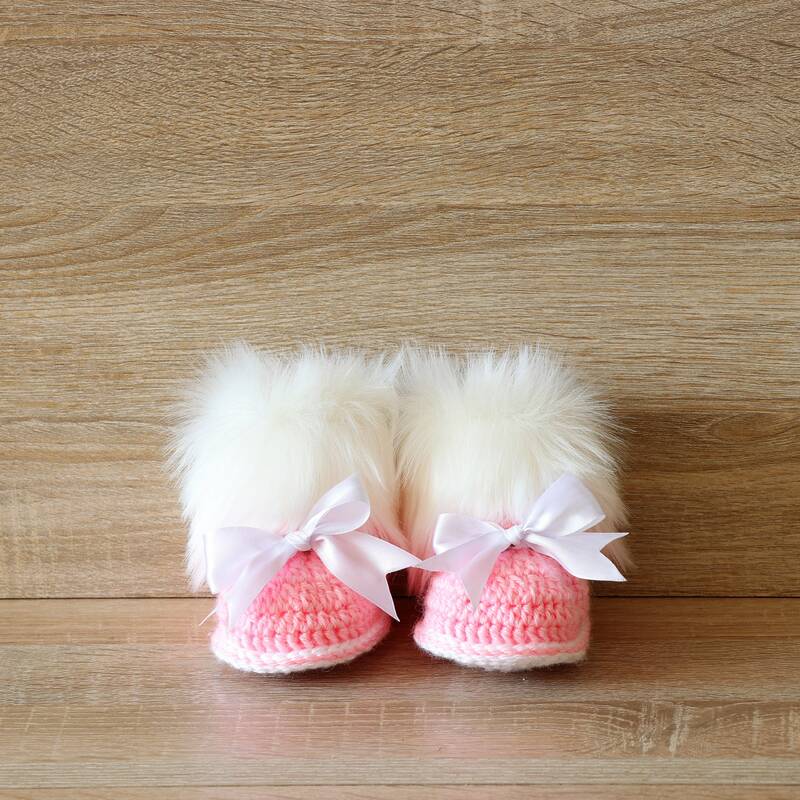 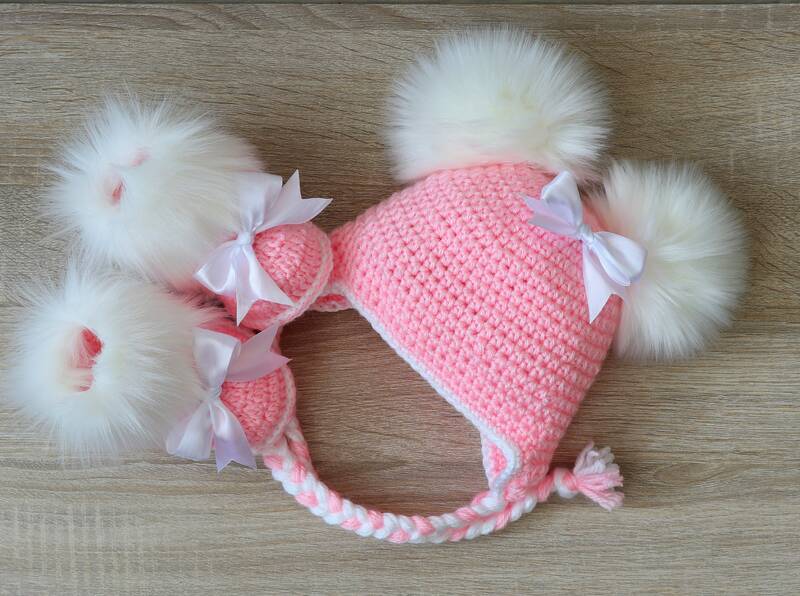 These pink and white booties and hat are made of a soft acrylic yarn. 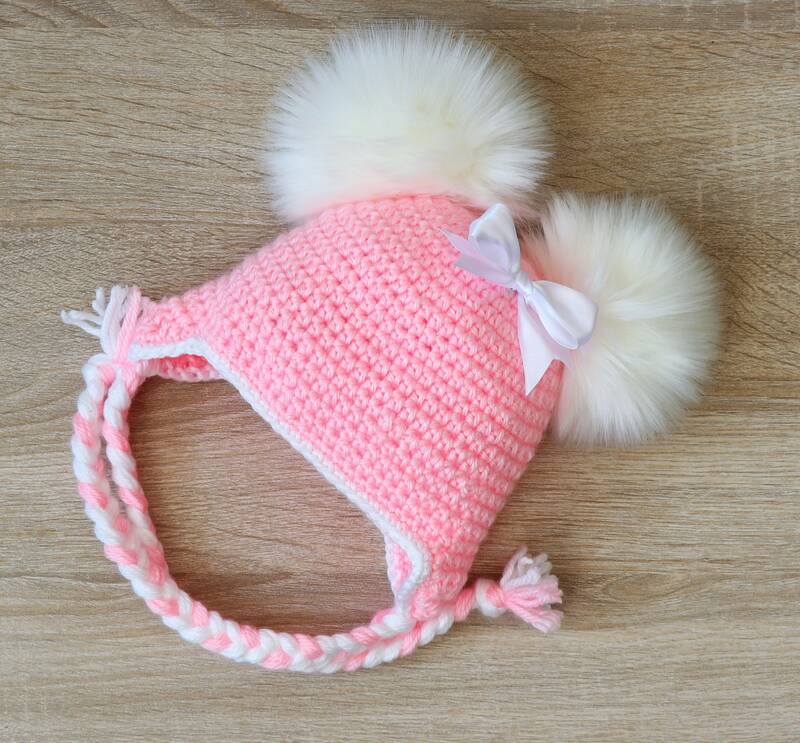 Great for any occasion - Use for anytime even every day. 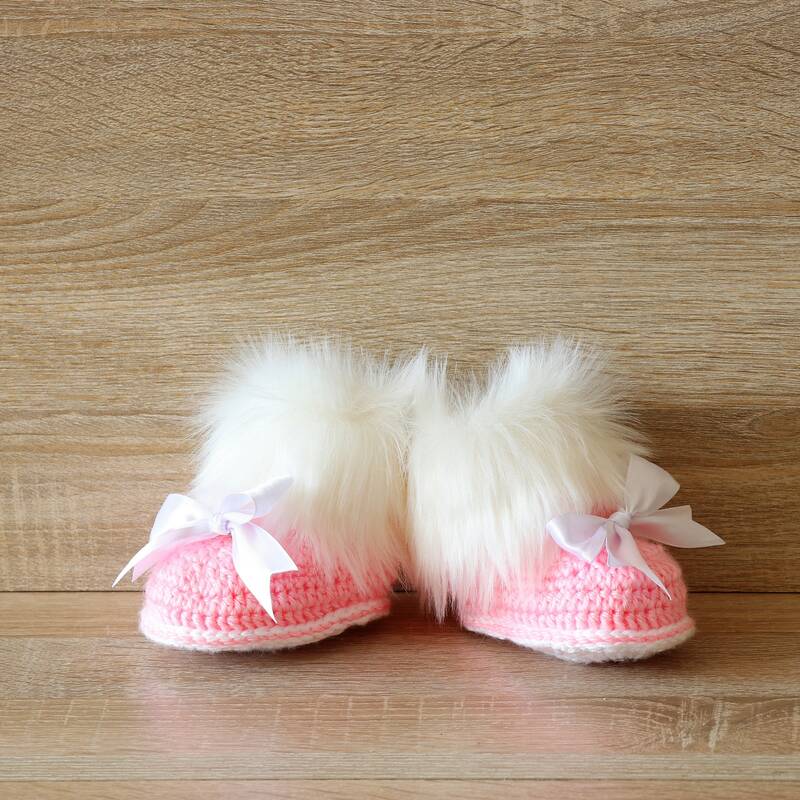 Head Circumference 12" - 13 "
Sole length: 8.25 cm /3.25"
Head circumference 17 - 18 "
Sole length: 12,5 cm /5"
Head circumference 18 - 19 "
Sole length: 14 cm /5.5"
For best results, hand wash in cold water or wash in mesh bag on gentle cycle with similar fabrics and lay flat to dry.